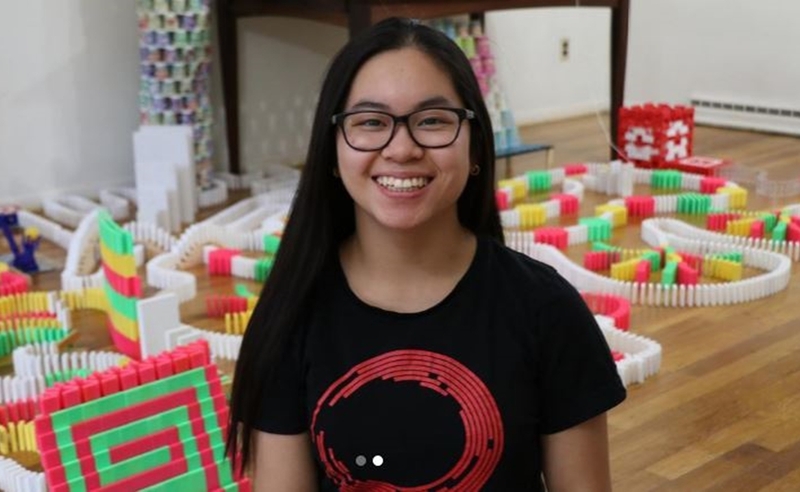 YouTube has apologized to a 20-year-old creator named Lily Hevesh — who has amassed 2.1 million subscribers thanks to her intricate ‘domino art’ videos — for co-opting her work on its corporate Twitter account without credit. On Dec. 26, YouTube shared a clip from Hevesh’s most recent holiday video — in which she organizes thousands of dominos in ambitious holiday scenes and then sends them into satisfying collapse. However, YouTube didn’t credit Hevesh or mention or her channel on its holiday Twitter greeting, The Verge reports. The omission became all the more striking as Hevesh’s video, A Merry Domino Christmas, has gone on to clock a respectable 80,000 views, while YouTube’s edited segment has been viewed more than 680,000 times. The Verge notes that because YouTube owns a limited license for all uploads on the platform, it can legally re-share Hevesh’s content on Twitter without credit — though the optics associated with the decision were predictably dooming.